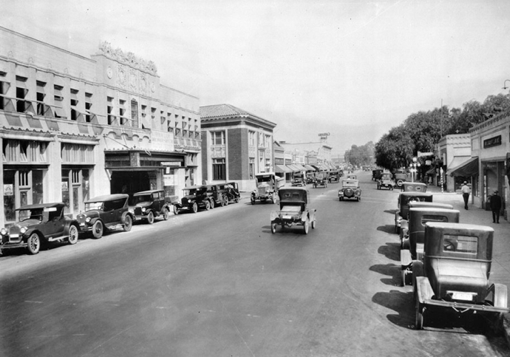 downtown business interests of Los Angeles remained strong enough to keep the small famers unified in opposition to annexation. However, the fruit packing company interests were taken over by the Los Angeles interests. The two conspired to decrease prices and mitigate the farmers' profit margins making their continued existence tenuous. When droughts hit the valley again, rather than face foreclosure the most vulnerable farmers agreed to mortgage their holdings to the fruit packing company and banks in Los Angeles for the immediate future and vote on annexation. After Annexation, West Lankershim (more or less today's Valley Village) agreed to be annexed to the City of Los Angeles in 1919, and Lankershim proper in 1923.Starting in the late fifties, many of the original owners were aging and their children were moving to other areas. School integration in the subsequent years, blockbusting, and subsequent ethnic turmoil encourage many remaining families to move out who in turn were replaced with black and Hispanic families moving from the downtown areas. By the 1990s the demographic changes had almost completely transformed the region. The Schools system in North Hollwyood can be broken down into 5 categories. First there are the following High Schools: North Hollywood High School, East Valley High School, and Ulysses S. Grant High School. Then there are the following Middle Schools: Sun Valley Middle School, Walter Reed Middle School, Romer Middle School and James Madison Middle School. Next up there are the following Elementary schools K-5: Strathern Street Elementary School, Maurice Sendak Elementary School, Saticoy Elementary School, Oxnard Elementary School, Lankershim Elementary School, Julie Korenstein Elementary School, Fair Avenue Elementary School, Coldwater Canyon Elementary School, Camellia Avenue Elementary School and the Arminta Street Elementary School. The is also the Victory Boulevard Elementary School which is a 1-5. There is the Bellingham Primary Center Kindergarten as well as the Arminta Early Education Center. For Private Schools there is the Campbell Hall School, Oakwood School and Harvard-Westlake School for high school. Messiah Lutheran School, St. Paul's First Lutheran and Laurel Hall for elementary schools. There is also The Wesley School for K-8. contemporary theaters, art galleries, cafes, and shops. 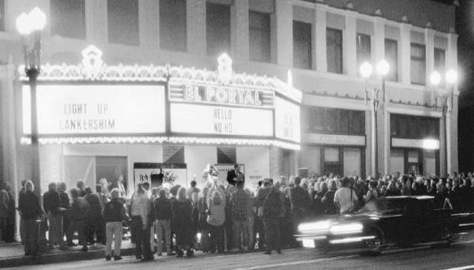 The theater district includes two new large venues that expand upon existing theaters, the newly redesigned NoHo Arts Center (formerly the American Renegade Theatre), and the redesigned Historical El Portal. The $100-million, 292-unit loft apartment project by Snyder is the first segment to be completed of NoHo Commons, part of a "transit village" rising at the terminus of the Metro Red Line subway and the Orange Line busway. NoHo 14 is a 14-story apartment building with 180 units on Lankershim Boulevard and Cumpston Street that is complete and now leasing. In fall of 2009, J.H. 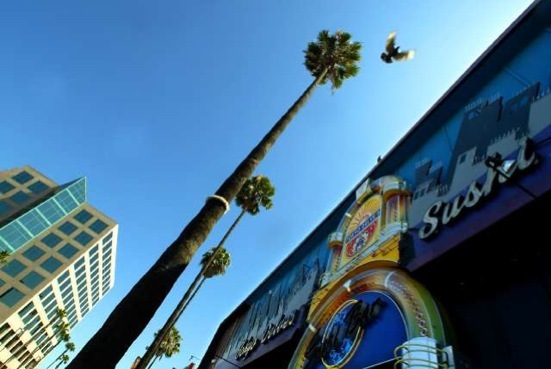 Snyder Company plans to finish a mixed-use structure including a seven screen Laemmle movie theatre, five story office building and 150 residential units on the south end of NoHo Commons. In summer 2009, a 39 unit condominium complex will be completed on 5016 Bakman Ave. called "Bakman Court" designed by the award winning Architect Michael Naim. In the future, North Hollywood plans a $1 billion mixed-use development at Lankershim and Chandler, surrounding the Metro Red and Orange line terminals. The project would re-develop 15.6 acres with 1,720,000 square feet of commercial and residential space, including 562 residential units and three high-rise office towers. The project was awarded to Lowe Enterprises by the Los Angeles Metro board and will be designed by architects AC Martin Partners.